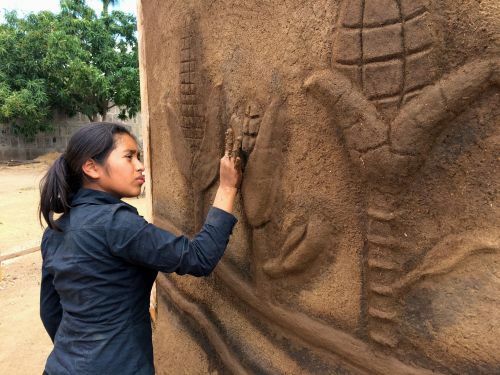 TERRA Collaborative founded The Pueblo Project (TPP) in 2014 to teach women and young people skills to construct and renovate homes and buildings using locally-sourced, low-carbon, natural building materials. By providing training in natural, place-based building techniques, its work seeks to empower participants to become the leaders of community resilience. It shares natural and accessible building skills for creating homes, structures, and communities that are safer, healthier and more resilient. Its training includes practical, hands-on sessions and classroom instruction at all levels of earthen construction practices, modernizing and building upon the traditional construction styles of the local cultural heritage. Since 2014, TPP has provided trainings in Nicaragua, Honduras and El Salvador. It has built six community spaces, developed three home improvement initiatives, drafted curriculum materials, developed prototypes for improved cooking stoves and dry composting toilets, trained two natural building teams and held an International Building Fair. TPP’s work strives for a future where dignified housing doesn’t involve devastating damage to the environment but instead assures a sustainable, healthy relationship with our natural world.